Sydney, AU, 8 April 2019 - OneVentures, an Australian venture capital firm which invests in innovative technology and healthcare companies solving global problems, has reached first close of the 1V Venture Credit Fund (the Fund). The Fund was launched to investors at the end of 2018, reaching first close at approx. $45 million in April 2019 and is now preparing to close its first investment. The Fund is now poised to invest approx. $100M over the next 5 years. OneVentures has expanded its team and hired experienced lending and operations managers into the firm to support operations and portfolio management for the new Fund. Venture credit is a new product in Australia but an established part of the funding mix for fast growing technology companies in the world’s major technology hubs including the United States, Europe and Israel. In the United States venture credit now represents $1 in every $4 of funding to later-stage technology companies but has been largely absent from Australian technology financings until now. The Fund launched in August 2018 after creating the first Australian-Israeli venture partnership with Viola Credit. Viola Credit is part of Viola Group, Israel’s largest technology investment group managing $US3 billion. The partnership has brought in world-class venture lending expertise to the fund. Nick Gainsley will also join OneVentures from Kreos Capital, one of Europe’s leading managers with a focus on venture credit. Nick will lead the 1V Venture Credit Fund as Principal, supported by the Viola Credit team, and will drive deal screening, structuring, investment decision making and portfolio company reviews. The fund is focused on expansion stage companies with strong revenue growth looking to accelerate their business, or companies looking to incorporate venture credit within the funding mix of their capital raising round. In addition to being attractive to investors, venture credit is an attractive option for technology companies, as it offers less ownership dilution to founders and existing shareholders and can be put in place faster than traditional equity financing. It provides a longer capital runway, allowing companies more time to achieve important milestones before a subsequent round of financing. In the same way as it does with equity investments, the OneVentures team will continue to provide insight, network and strategic knowledge to the investee company. The firm has also recently appointed Grant Chamberlain to Partner of the firm, and hired David Grose as Principal of Operations and Finance. The team’s expansion will support the Fund in selecting and managing new investments and firm operations more widely. Grant Chamberlain joined OneVentures in 2017 and was previously Australian Head of Mergers & Acquisitions and Financial Sponsors for Bank of America Merill Lynch. He has over 20 years experience in corporate finance and over that time has led many of Australia’s largest mergers and acquisitions and capital markets transactions. Nick Gainsley brings over 12 years corporate finance, investment and venture credit experience to OneVentures, having recently held a senior role managing an investment portfolio covering a variety of sectors including software, FinTech, media, e-commerce and marketplace. Nick’s most recent role as Principal at Kreos Capital, one of Europe’s most established venture credit funds, covered deal origination and management of the technology investment portfolio. Nick has also held debt advisory management positions at KPMG London. Nick will bring his lending experience to the Venture Credit Fund team, focusing on deal origination and portfolio management. David Grose joined OneVentures in February 2019, bringing almost 20 years of international financial management experience, principally in the fund management sector in Australia and the United Kingdom. David has recently returned to Australia following 12 years with Hermes Investment Management in London as Finance Director of the Private Markets business, having previously held senior roles in corporate finance, transactions and private equity. David’s previous responsibilities encompassed finance and operations functions of the Real Estate, Private Equity and Infrastructure businesses. He joined OneVentures in January 2019 as Head of Finance and Operations, where he is involved with Fund operations and financing. 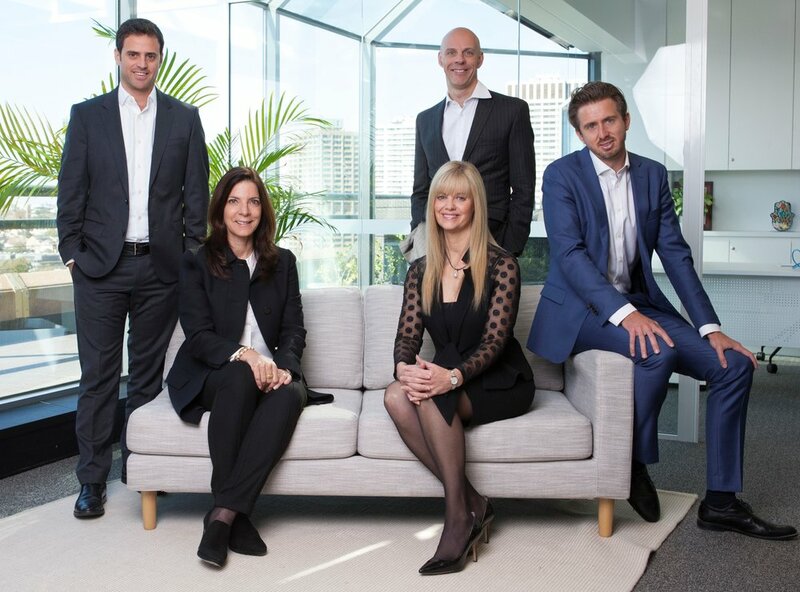 OneVentures is one of Australia’s leading venture capital firms, with over $350M in funds under management. But we do more than invest. We take companies to that all important next stage, by actively shaping their future. We apply our years of international experience, operational and executional expertise to accelerate the growth of our portfolio companies. The OneVentures Credit Fund launched in August 2018, raising up to AU$100M in funds available for high-growth technology companies.